These free grade 1 reading comprehension worksheets will help your kids polish their reading and understanding skills. If you have a kid in kindergarten at home or if your child has just started grade 1 you might want to start with kindergarten reading comprehension worksheets. These sheets all have a simple story or a number of statements and kids are then asked to answer simple questions about the story or the statement. With fictional stories you can also read the story to them and ask them to retell the story. Perfect for home schooling parents or after school activities if kids love doing worksheets. 2 pages with statements about boys and girls and their clothes colors and kids have to figure out who is who. You can have the kids read the stories and statements by themselves or you read them out loud to work on listening skills. 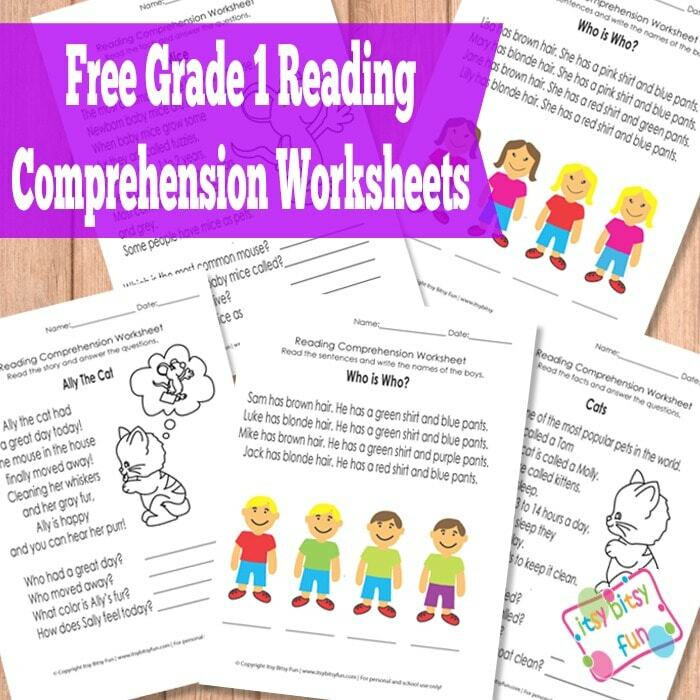 Get your own free printable Grade 1 Reading Comprehension Worksheets here. Get your own Answers Sheet here. I have a ever growing collection of free printable worksheets for kids where I’m sure you will find something useful.